Thanks,I needed a great reminder this morning!! Maybe we (US citizens)need to revolt our government to put pressure on what really happens in DC.What happens when we misuse money? Happy anniversary Frank may God bless you and your wife!! 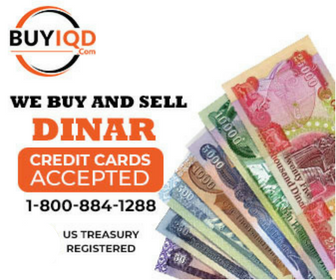 i remember when i invested into the dinar 1 and a half yrs ago i thought my return was maybe .08 cents!more is always welcomed though!be patient,pray incessingly and be more patient!! THats what the HC bill is going to do for us,stick it to the middle class again!! Hopefully with better morals and be thankful for what he had! But thats long enough at least to get cash!!! We have extra houses in US can we ship some to them? Carlablum Wewill pray for you and for the family.Were sorry for the loss of a special woman im sure.Please remember God is listening to you and all that prays.God bless all!!! thanks 4 letting me join,im new at computers so im slow at typing and getting around in the forum etc. see you later!